Hedgehogs can be very kind and loving animals when they get used to their owners. However, they require a balanced and nutritious diet to live a long and happy life by your side. 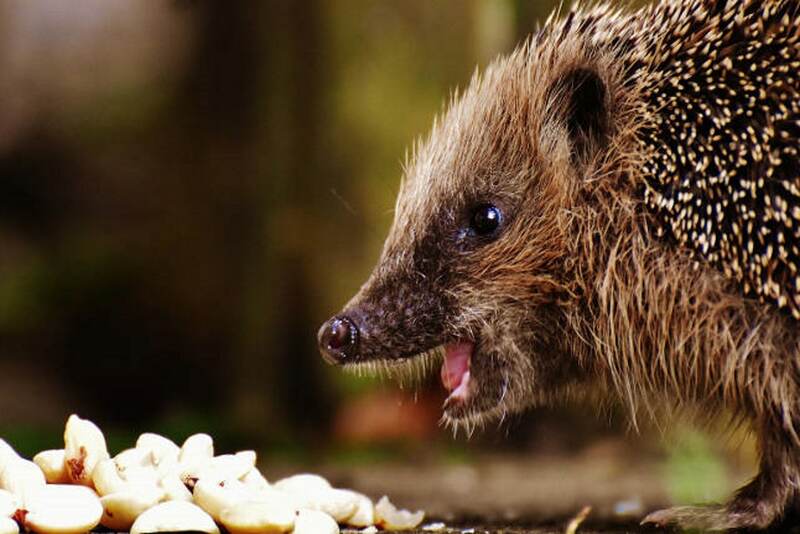 If you don’t have the time to find the best hedgehog diet on your own, we can help you out. After conducting a thorough research, Dr. Fox concluded that a reliable food for your pet is the Mazuri Insectivore Diet. The 20-ounce product bag is resealable to ensure maximum freshness for a more extended period of time. It is specifically designed for insectivores, and you won’t require any additional supplements. The food is also rich in fibers and Omega-3 fatty acids. If this item is not available for sale right away, we may also suggest the Exotic Nutrition Hedgehog Complete. This product offers a complete and balanced nutrition because it is rich in Omega-3 fatty acids and contains fish oil that promote your pet’s healthy development and brain activity. The food is rich in safe fibers, and that means that your hedgehog’s stools are going to be regular. The resealable bag allows you to keep the food fresh. Some hedgehogs can be allergic to this food so we suggest feeding yours a small amount at first - to assess the animal’s reaction. This is a great alternative for those days when you don’t know what you should feed your hedgehog. Pair this with some extra protein and you’ll provide your pet with a well-balanced diet. Because it doesn’t contain any artificial colors, flavors, or preservatives, this food is entirely safe to feed to your hedgehog. 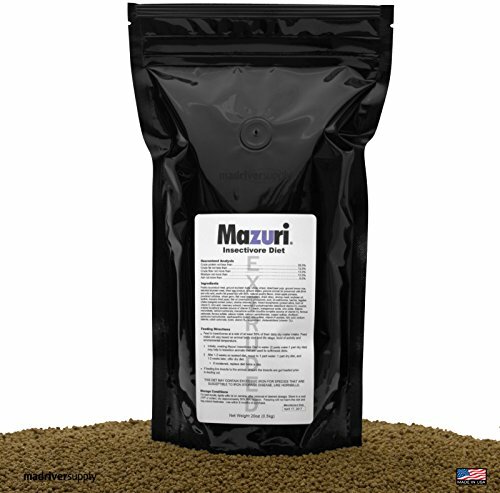 The pellets are made from high-quality ingredients and include protein coming from mealworms. This diet is also rich in minerals, vitamins, as well as probiotics, so it will have a positive impact on your pet’s immune system. It might be more affordable for you to get this product right from the manufacturer’s website instead of from a retailer. This USA-made alternative is entirely worthy of your consideration especially since it has been approved and recommended time and again by vets. It is suitable for African, Asian and European hedgehogs. This bug blend is the perfect choice for all hedgehogs because it comes with a mix of crickets, grasshoppers, as well as mealworms. The freeze dried insects keep their nutritional values for as long as possible, so they will surely provide your pet with the vitamins, minerals, and protein that he or she needs. Since it comes in a jar, you can just put the lid back on after each use. You can’t feed these insects to your hedgehog all the time because one single jar can be a little outside of the budget of some people. You can choose to feed this mix directly to your hedgehog without adding something extra or you could opt for a combination diet consisting of this mix of insects and some high protein cat food. Finding a good hedgehog diet could prove a difficult task, especially since there are many products on the market. In order to make your life easier, we decided to come up with a list of items that are considered trustworthy by the majority of the customers who bought them. Showcased below you’ll find their main characteristics so you can decide which one would best fit your pet. Specifically created for the needs of insectivore creatures, this product offers a balanced and complete nutrition that doesn’t need to be paired with any other foods. It is a rich source of fish oil, known for its Omega-3 fatty acids that are beneficial for your hedgehog. The food is also high in fibers, promoting a healthy digestive system and regular stools. It contains taurine at levels that meet the recommendations for small animals like yours. What we liked is that this product is delivered in a resealable 20-ounce bag that will keep the food fresh for a longer period of time. However, keep in mind that hedgehogs, just like all other animals, can easily get bored if they are fed the same type of food all the time. Therefore, we suggest you also include fresh fruits, vegetables, and even a few grams of cooked chicken meat or eggs in your pet’s diet. The product is available in three package sizes, ranging from two pounds to 10 pounds. If you are feeding your hedgehog this type of food for the first time, we suggest starting with the smaller package to avoid waste. It is made of 100% natural and organic ingredients and doesn’t contain any artificial flavors, colors or preservatives. The pellets include high-quality proteins combined with fresh grains and dried mealworms for a delicious taste. 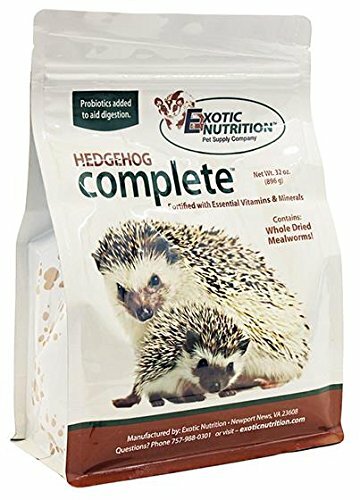 Enriched with probiotics, vitamins, and minerals, this food is everything your hedgehog needs to live a strong and healthy life. The item is made in the United States so purchasing it will help you support the local economy. Approved and recommended by veterinarians, it is suitable for the African, Asian, and European hedgehog. For an adult pet, you should offer approximately two tablespoons of food daily to maintain the optimum body weight. Bear in mind that hedgehogs can easily gain weight and become obese if you overfeed them or don’t help them maintain an active lifestyle. The item consists of a tasty and delicious mix of mealworms, grasshoppers, and crickets, suitable for your pet’s diet. The insects are first frozen, then freeze dried to maintain their nutritional values and offer every substance your hedgehog requires. The food includes an excellent source of proteins and can be offered to various animals, including turtles, sugar gliders, wild birds, reptiles, tropical fish or hedgehogs. The item is delivered in a sealed jar that can help preserve the freshness of the food for up to one year without requiring refrigeration. Just make sure to keep it in a cool and dry place, away from direct sunlight. 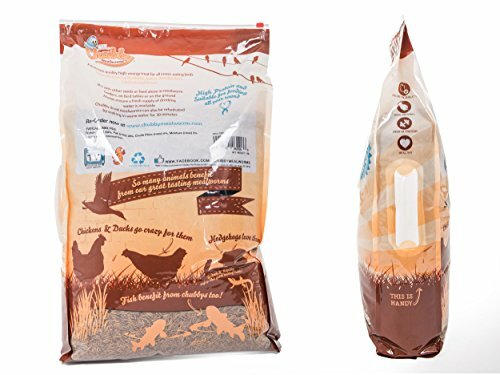 We also liked that the package comes with detailed instructions on how much to feed each type of animal to ensure a balanced diet and avoid gaining weight. However, consider combining this mix of insects with fresh fruits, vegetables, and cooked meat or fish to prevent boredom. 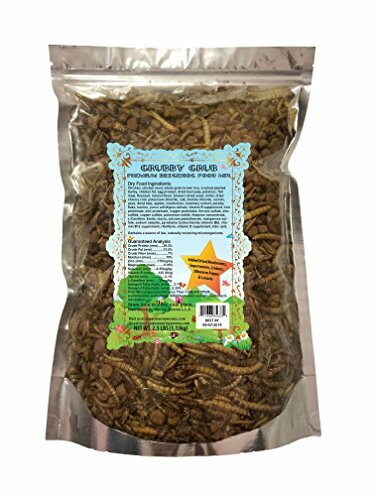 Chubby Mealworms is considered the most trustworthy brand in the United States in its field, ensuring high-quality foods at affordable prices. Therefore, you can rest assured your hedgehog will only receive delicious and nutritious ingredients to support its growth. 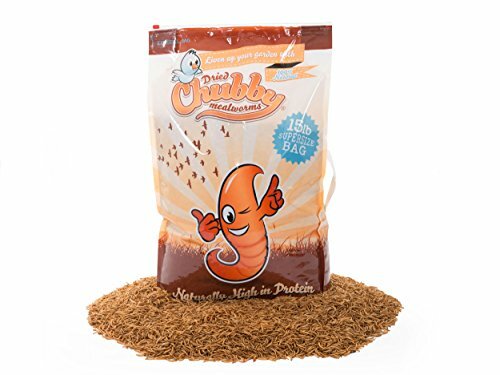 The food consists of 100% natural insects that are a rich source of fibers and proteins, vital for the healthy development of your pet. It is suitable for wild birds, fish, reptiles, turtles, and hedgehogs. The product is delivered in a large 15-pound bag that also comes with a convenient carrying handle. It is easy to deposit and will keep your hedgehog full for many months from now on. Moreover, the bag is zip sealed to maintain the freshness of the ingredients for a longer period of time. Most customers who ordered the product for their pets were pleased with the quality and nutritional value of these mealworms. So, if you are an animal lover, you should definitely give this item a try. 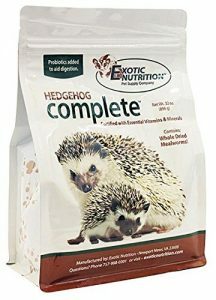 Are you looking for a unique combination of insects that will provide a delicious and nutritious diet to your hedgehog? 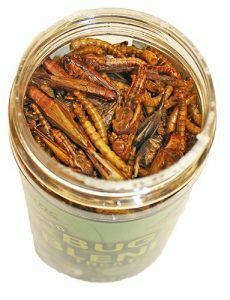 This product from Wormyworms is packed with dried superworms, silkworms, mealworms, locusts, and crickets, to offer a reliable source of fibers and proteins to your pet. Fortified with vitamins and Omega-3 and Omega-6 fatty acids, the food will support your hedgehog’s immune system and will help your pet grow strong and healthy. The product can be fed alone or as part of a diversified diet including other sources of fresh fruits and vegetables. It can be purchased in two package sizes, 2.5 pounds or 5 pounds. The food mix also contains chicken, chicken meal, brown rice, egg products, chicken fat, potatoes, apples, and cranberries, so a small portion per day will suffice. Since it is rich in calories, you need to carefully watch your hedgehog’s diet to avoid obesity or any other weight-related health problems. Sometimes, a cheap hedgehog diet and a cage will not suffice to keep your pet happy and healthy, so make sure to do a thorough research before adopting a new animal. If you’re not entirely sure how to properly look after your pet, here are some things you need to know about hedgehogs if you’re thinking of getting one. Your number one concern regarding your pet’s diet should focus on finding high-quality and natural ingredients. Whether you opt for an insect mix or kibbled food, each of the ingredients contained should be carefully selected. Hedgehogs need a protein-based diet that can consist of insects, cooked meat or even chicken eggs. Vegetal proteins are not assimilated so you shouldn’t consider them as suitable foods. Keep in mind that hedgehogs are lactose intolerant so, if you want to avoid digestive problems, never feed them dairy products. Other ingredients like corn or wheat are rich in carbohydrates but come with poor nutritional values, meaning they won’t make reliable hedgehog foods. Served in small amounts, these ingredients are not harmful but could lead to weight problems, especially if your pet lives a sedentary life. On the contrary, fresh fruits and vegetables are welcomed on your spiky friend’s daily diet. They are rich in vitamins and natural antioxidants that will strengthen the immune system and will keep your hedgehog away from health problems. We also suggest you go through some online hedgehog diet reviews to read the opinions of other customers on various types of foods. Providing a balanced diet is not everything it takes to make your pet happy. Keep in mind that these animals are quite pretentious and they will require your constant care and full attention. Bathing your hedgie is mandatory to keep it clean and healthy. Run an inch of warm water in the sink and gently place the animal in it. You can use non-allergenic and organic baby shampoo to keep your hedgie’s feet clean. A small toothbrush will help you thoroughly clean your pet in just a matter of minutes. Other grooming rituals to keep your pet healthy and clean include regularly trimming its nails and giving back or belly rubs. Offering the most comfortable beddings for hedgehogs will also help your animals live a full and happy life. Large cages are the perfect hedgehog houses as these animals require an active lifestyle to avoid weight-related problems. If you can offer them a second-story cage filled with entertaining toys it would be perfect. And, since you cannot babysit them 24 hours a day, buying some brand new wheels for hedgehogs to help them stay active is mandatory. However, keep in mind that they will easily get attached to these devices and they won’t want to come off not even to eat or poop. 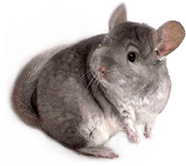 Therefore, make sure to thoroughly clean the cage and all its accessories on a regular basis. Don’t forget also to place a bowl of snacks and treats, as well as one with fresh water to keep your pet properly fed and hydrated daily.